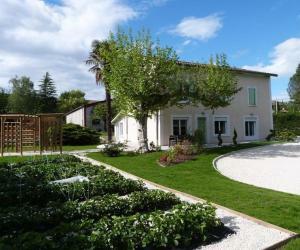 Located in Chanas, Gîte La Fraiseraie offers a heated, outdoor swimming pool with a pool house. Guests have access to a wellness centre with hot tub and sauna, and free Wi-Fi access is provided throughout the property. Set in a vegetable garden featuring several varieties of strawberries, this self-catering villa has a bathroom with walk-in shower and a seating area with a sofa and a flat-screen TV. Meals can be prepared in the kitchen, equipped with a microwave, oven and fridge, and vegetables from the garden are available for guests. A supermarket can be found within 3.5 km from Gîte La Fraiseraie. Free, private parking is possible on site. Guests may choose to visit St-Joseph Vineyard or explore Pilat National Park, both 5 and 15 km from the property. Reception is open from 06:30 to 23:00 on weekdays and from 07:00 to 23:00 at weekends. In the case of late arrivals the hotel may re-sell your room. If you plan to arrive late, please contact the hotel in advance. Hôtel balladins Lyon/Chanas is located a 5-minute drive from the A7 motorway and a 40-minute drive from the centre of Lyon. Free public parking is available on site and Valence is 49 km from the hotel. Guest rooms are equipped with free Wi-Fi internet access and satellite TV. They each provide an en suite bathroom with a shower. Breakfast is served each morning at the hotel. Additional facilities available include a restaurant and a children's playground on site. 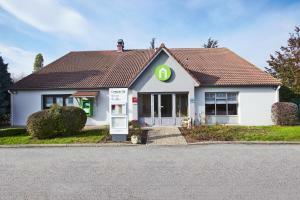 The Mercure Vienne Sud Chanas is located 40 km south of Lyon, and 14 km from St Clair Golf Club. You can play tennis on site or enjoy a drink at the bar. A TV, minibar and free Wi-Fi access feature in the guest rooms, which have a modern decoration. Each has a private bathroom with a hairdryer. Breakfast is prepared every morning at this hotel, and traditional French cuisine is served in the restaurant, Le Bistro. Mercure Vienne Sud Chanas is just 10 minutes from the famous Renaissance chateaux in this region. Free private parking is available on site.